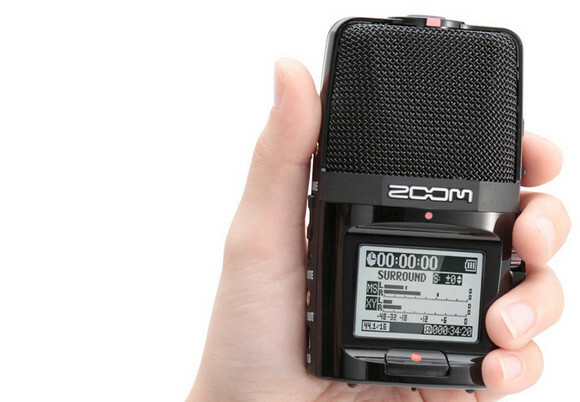 Since launching in 2007, we’ve been impressed with Zoom’s H2 sound recording range, and the latest H2n update sees a beefier, chunkier design packing some innovative features. Billed as the only portable recorder with five studio-quality microphones onboard, the H2n serves up no less than four unique recording modes: Mid-Side (MS) stereo (a staple of the film and broadcast industry), 90° X/Y stereo, 2-channel and 4-channel surround sound. The recorder packs an 1.8-inch backlit LCD display supporting a new user interface, backed by a built-in reference speaker and the ability to hook it up to a USB port and record directly to a computer. The H2n can keep on going for over 20 hours of continuous operation on just two standard AA alkaline batteries and should sell for around $199 when it ships this September. Scroll down for the press release and official video. 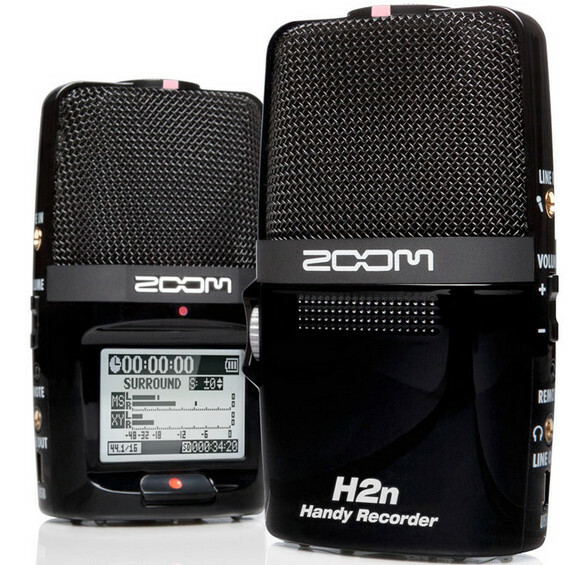 Zoom H2n Handy Recorder. The new standard in portable recording. The H2n will be available September 2011 for $199. but it doesn’t have mono recording for voiceovers? The Zoom H2 wasn’t a very good machine with a cheap plasticky build and hissy mic pre-amps. But Zoom did make improvements to the ‘n’ version of the beefier, phantom-powering H4, and it may the same with the H2n. I think ‘studio quality’ is a rather vague term to use when on-board recorder mics. It’s a bit like the tendency for camera accessory makers to include the word ‘Pro’ in a product name when it all signifies is that it’s not bottom-of-the-range. The original Zoom H2 had noticeable colouration to its sound and hissy preamps, as well as indifferent build quality. But Zoom made noticeable improvements with the ‘n’ version of the H4, and it may be the same with the H2n.